When you need the EXTREME! 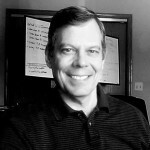 G. Mark Alarik, president and founder of Sales Overlays has served Fortune 500 and midsized firms, including start ups. Our services include developing strategies and executions for a variety of business process and revenue challenges. Through the highly effective Process of Continual Improvement, your business can generate more profitable revenue, cut waste, and discover new resources that you already have. Our expertise includes multiple industries and projects that require extreme problem-solving strategies.